Pedro Barakat was born in San Salvador Da Bahia in 1988. Both of his parents are Lebanese. He studied anthropology at the University of São Paulo. After graduating, he spent several months in Lebanon during which he created this project. My father keeps a list of items he and my mother brought when they left Lebanon’s civi war. 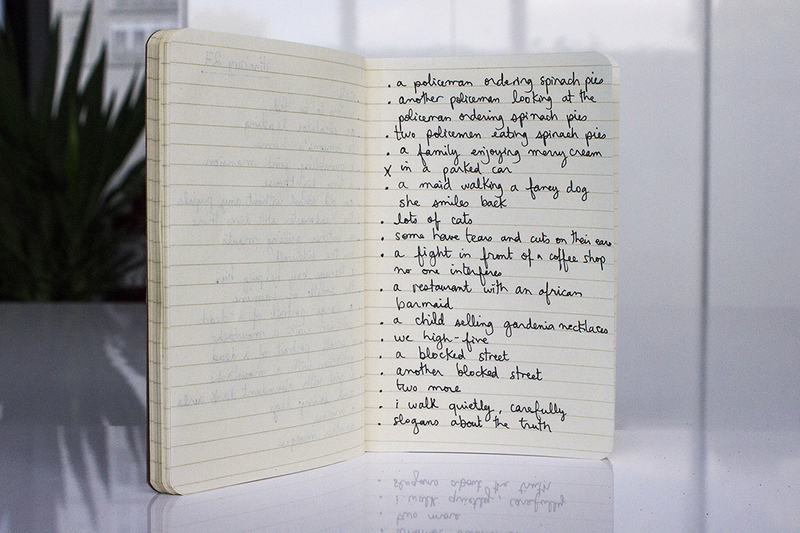 I now make my own lists, collecting words, things, observations.